Hector lives with his mum Becky, dad Simon and their doting children. 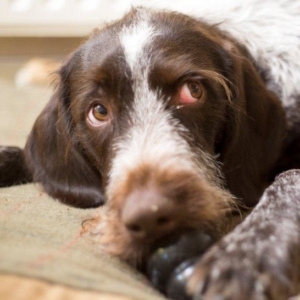 Hector initially presented to Fitzpatrick Referrals when he was 8-months-old after his family noticed that he was losing control of his back legs. Hector was seen by Senior Neurologist, Dr Colin Driver, who recommended an MRI scan and subsequently diagnosed an abnormality in Hector’s cervical spine. The scans showed that malformed vertebrae were squishing Hector’s spinal cord from both sides and garroting it like an hour glass. The squashed spinal cord was stopping signals between Hector’s brain and his legs causing him to be wobbly and unstable on all four paws. 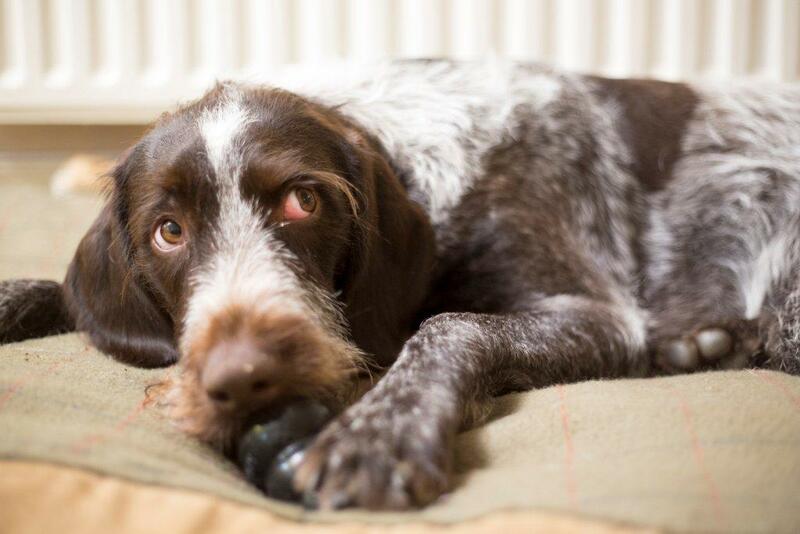 Colin felt that surgery was the best option for Hector but that it should be done when he was fully grown to give him the best chance of recovery. 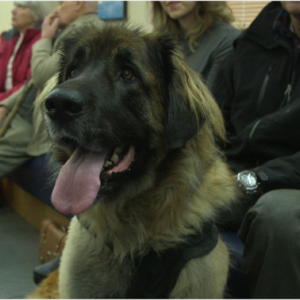 Colin referred Hector to his colleague Professor Noel Fitzpatrick for surgery. 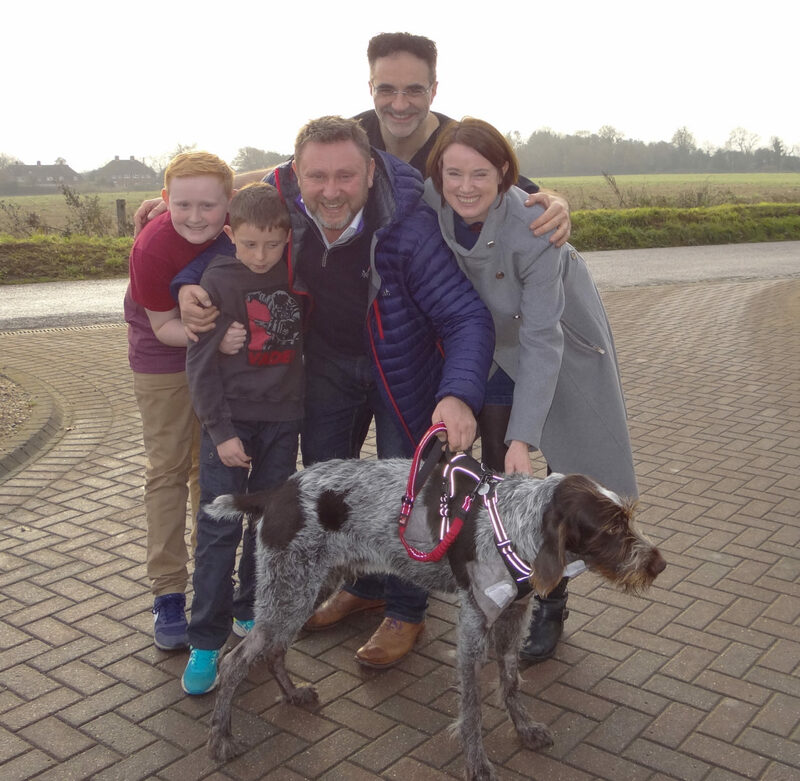 Professor Noel Fitzpatrick met with Becky and Simon and explained to them, in detail, what the MRI imaging showed. Noel explained that in an attempt to solve the problem he would need to operate using a specially designed custom device that would fuse the malformed and unstable vertebrae in Hector’s neck. As with all spinal surgery, it would come with significant risk, but without it the chances of Hector eventually becoming completely paralysed were high. Noel concurred with Colin and explained to the family that the best option to treat Hector would be a custom double-site cervical fusion. 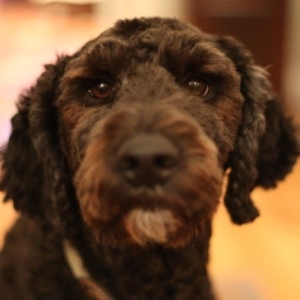 If a solution was not found for Hector, he would have faced further deterioration and possible euthanasia. Becky and Simon elected for Hector to have the surgery and so the special implant was immediately designed and manufactured. Within a week Noel operated on Hector. Noel used two inter-vertebral spacer devices, coated in hydroxyapatite, and corresponding Fitz Inter-vertebral Traction Screws (FITS) to push the malformed and unstable vertebrae apart and secure them permanently. A plate shaped like a saddle linked the two spacer devices together with a number of screws and rods. The hydroxyapatite coating encourages bone growth through and around the implant, and it was further aided by bone graft taken from Hector’s shoulder, which was pushed into the newly widened space so that in six to eight weeks a strong, biological fusion of the vertebrae would take place, no longer relying on the metal implants alone. Noel was pleased with the postoperative CT scan but only time would tell how well Hector would recover. Hector was hospitalised for three days postoperatively and was making a good recovery. Once he was comfortable enough and starting to get back up on his feet, he was able to go home to his family to continue with his strict rest at home for another six weeks. 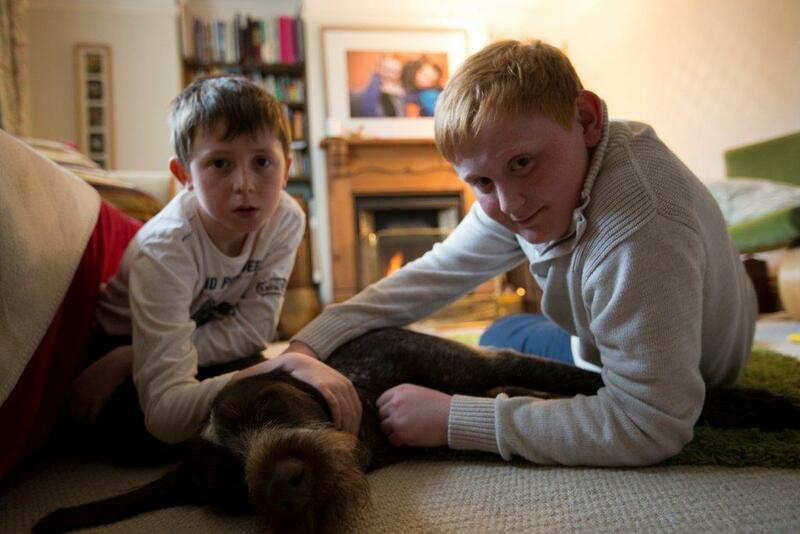 The following weeks saw Hector go from strength the strength, and by ten weeks postoperatively, the team were delighted to see Hector bounding around at home with his family and in no pain. His back legs were slowly becoming less wobbly and regaining strength! 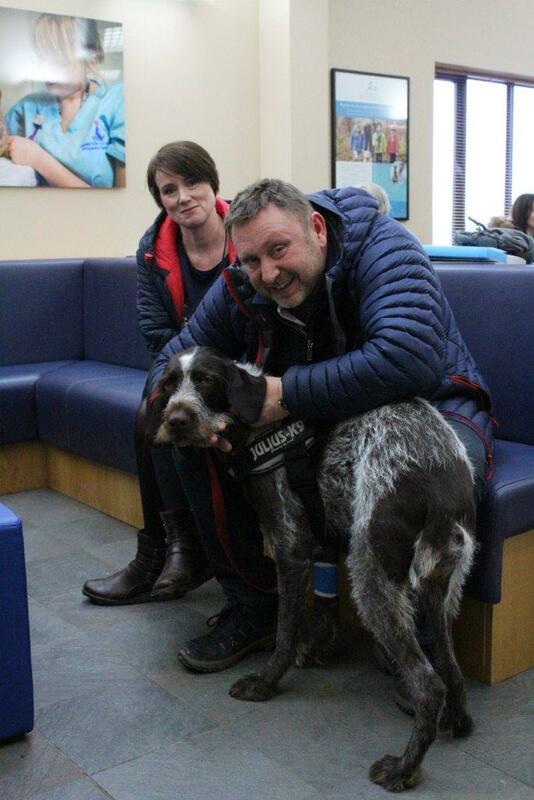 We are delighted that this much loved family member has now the chance to live a full and happy life.